Well, it's been a great time getting to know my new fitness tool! I feel like I have finally made it to the fun part, and it's been such joy being able to play around with the Polar Balance scale! First I'd like to say that we are getting along fantastically well so far! I have set my goals and I am well on my way to achieving them. I'm seeing and tracking all of my progress, and the scale seems to be moving again after a previous slow month. 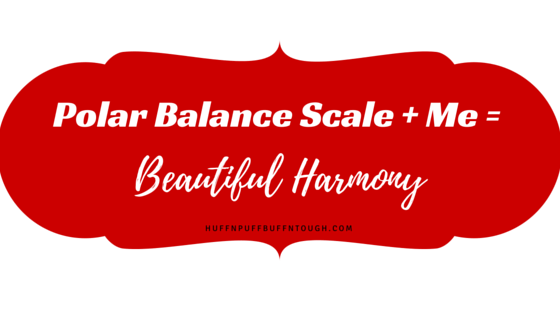 Finally, I have been able to learn more about the features and benefits of this scale and so far, I think it is pretty darn neat! Syncing your information from the scale to your watch and app is very easy, and usually it's a smooth process. When I'm using the M400 everything works flawlessly. I have noticed, however, that when syncing the information to my A360 there seems to be some kind of glitch so I'll continue playing around with that one. I will have to update you on the A360 issues at a later date. On the plus side I have had no issues pairing the scale to either watch. To sync up your watch you simply press a button until you see that it is connecting to the scale. If your sync was successful the scale will read 'OK' and then shut off. My information is now synced up to the app and it is showing on my dashboard. In the photo below, it shows that I am in the "losing" category. Just a couple of days ago I was slightly in the "gaining" category, which is no big deal and not a reason to freak out because my weight often fluctuates. Keep that in mind with your own weigh-ins and NEVER forget that weight fluctuations are normal. A lot of people tend to freak out over fluctuations, but assuming that you are healthy... you have nothing to worry about. Setting a target weight is fairly easy. All it takes is the click of a button to get to the screen you are seeing below. I have set a target to lose 4 lbs in 3 weeks. My weight target program ends on June 30th, which falls on the same day as my end of the month weigh-in day. 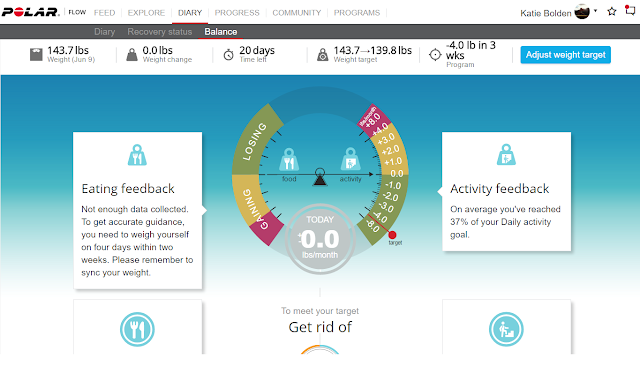 My original goal before I set this up was a 4 lb minimum loss for the month of June. I'm happy to report that I have already lost 2 lbs, so it seems as if things are definitely on track. I am very happy about that since having a slow month in May that broke my 13+ month 4 lb minimum streak. 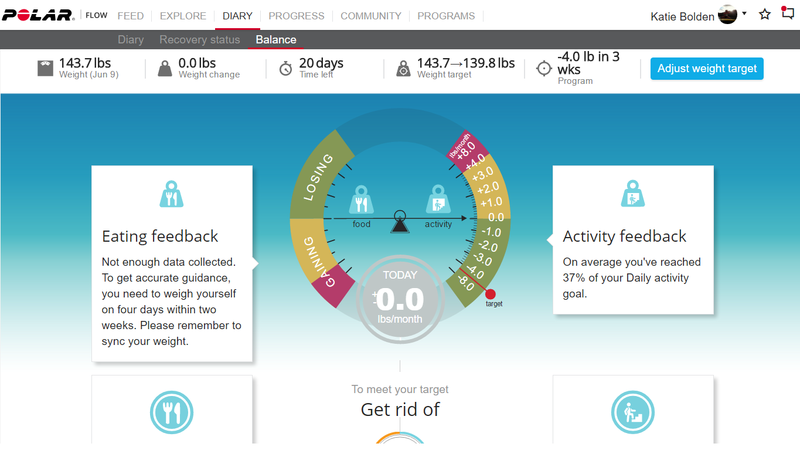 After setting my goals for my target weight, the dashboard resets itself showing that I haven't lost anything since entering my new goals. What I love most about using the Polar Balance scale is the in-depth information it gives you, and the way it helps you to reach your goals. 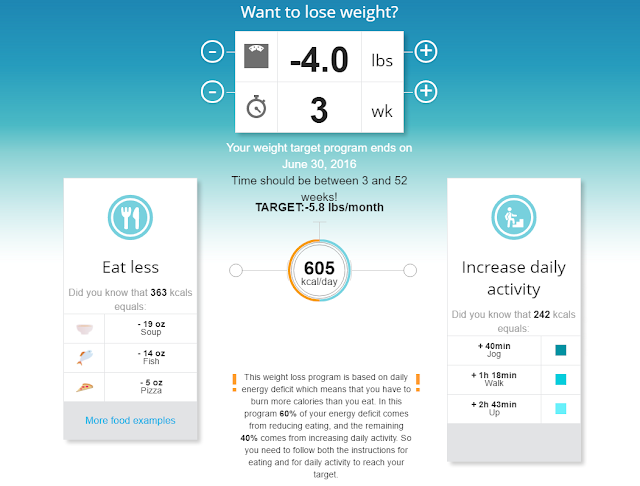 It tells you exactly what you need to do to get to the target weight you have set for yourself. 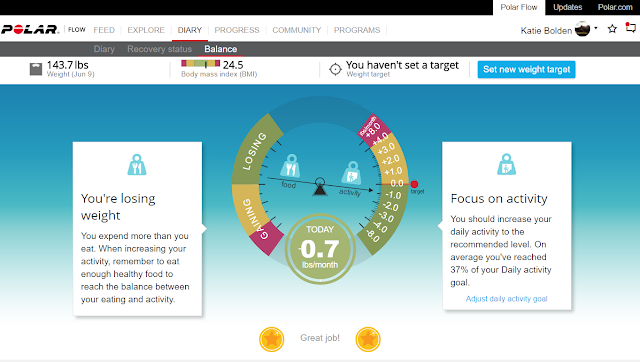 As you can see in the photo below, it tells me that I need to get rid of at least 605 calories a day. That means with my workouts and daily activities put together it needs to add up to at least 605 calories burned per day. 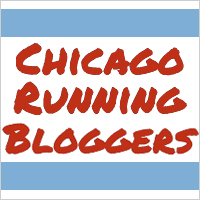 Seeing as how your body burns calories just to survive, it is very achievable. The more muscle you carry on your body, the more calories you burn as well, so that's an added bonus when it comes to burning the calories for weight loss goals or any other kind of health and fitness goals you may have. These charts look so pretty! Don't you agree?! This is my weight trend for the past 3 months and as you can see, it has been steadily going down. 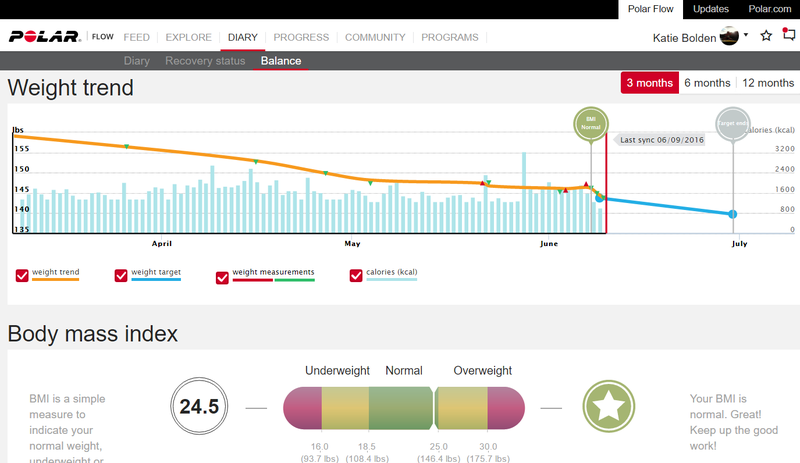 You can also view your 6 month and 12 month weight trend. Loving it! Looking at these charts motivates me to stay on track and to keep going. It's the little things that make me happy! Looking at the same photo above you can see that it also keeps track of my Body Mass Index (BMI). It shows that as of a few days ago, I have finally reached a normal BMI! SAY WHAT?!?!?! It shows that I am within normal range, but I am still at the higher end of the spectrum. I am one proud woman right now! Finally! I guess it's time to finally make that doctor's appointment for a check up. Below is my total body workout for June that I created made up of my most favorite and effective exercises that will work the entire body for the #PolarShapeUpChallenge. You will find this workout in the #PolarShapeUpChallenge ebook, which can be found HERE. 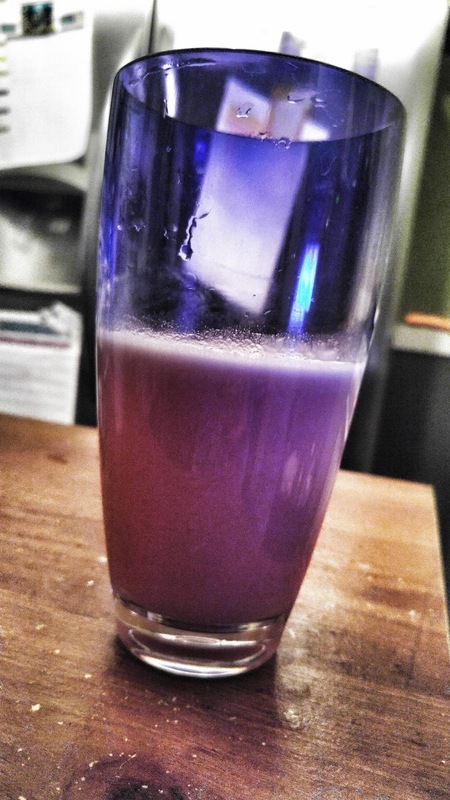 A meal packed with protein is ideal for a post workout meal. Steak and eggs with a protein shake happens to be one of my favorite post workout lunch options. 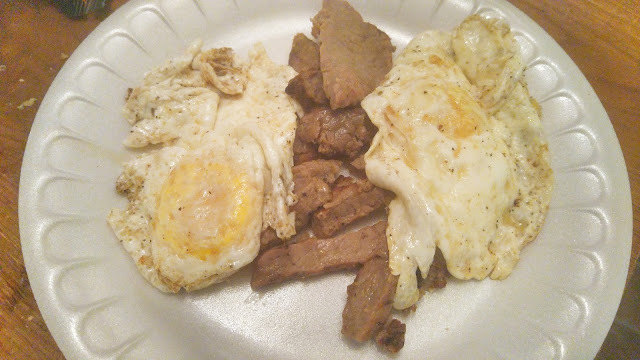 Can't go wrong with steak and eggs! Do you want to get in on the action and finally get some help with those health and fitness goals? Well... I have a discount to get you started! Wow, that's so cool. I never would have thought you could sync your watch and scale. It makes weight tracking so much more convenient. What a great gadget! It's amazing how much technology can help us now with out fitness goals. Okay that is one cool scale. I like that it can bee sync up for a better account of what you are doing. Steak and eggs. Love it. I'm a big fan of all sorts of information so I love gadgets like this. 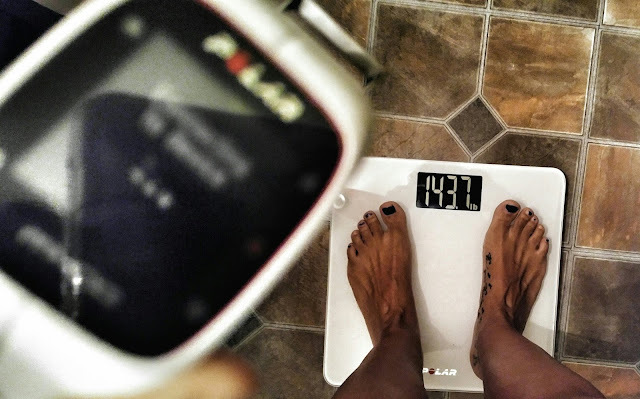 So cool that you can sync the scale.